To do Basic Settings for your course you can simply login into Learnyst as Admin and in admin dashboard go to Courses > [any of your course] > Settings > Branding. 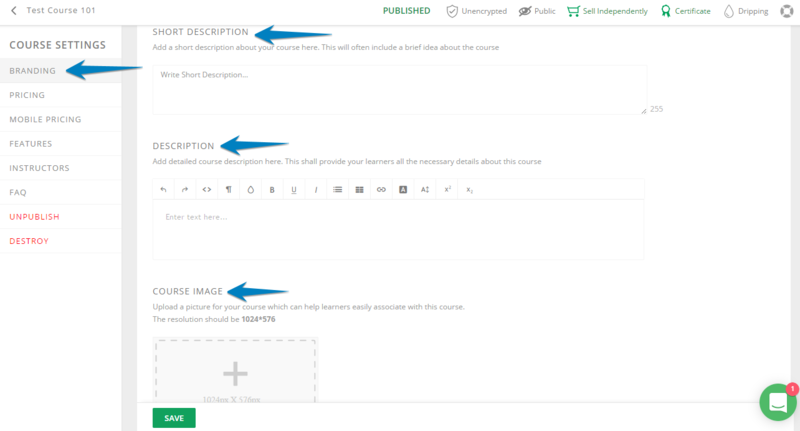 You can add the title for your course in Course name, Description about the course. Scroll down to advanced settings. You can upload promotional video for your course.